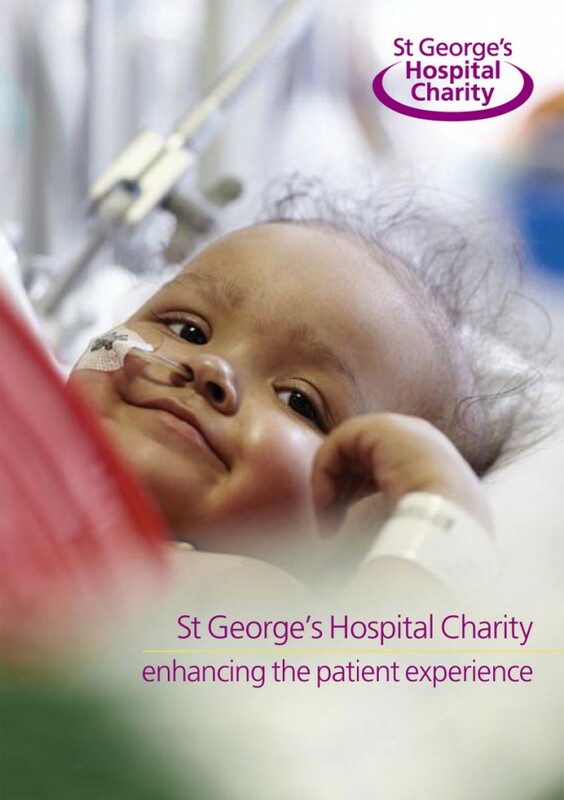 The General Fundraising Leaflet produced for St George’s Hospital Charity is part of a comprehensive redesign of the charity’s marketing collateral and was produced in an 8pp roll-fold A5 format. Following the growth of the charity and the diversifying of income into various disciplines (major donor, trust and foundations, community, corporate) St George’s Hospital Charity needed a piece of literature which was suitable for use across all of these, and which doesn’t focus on one particular area of the work they support, but talk in more general terms about what they do. The charity will use this document to explain what they do, the impact they have and encourage the audience to make a donation. 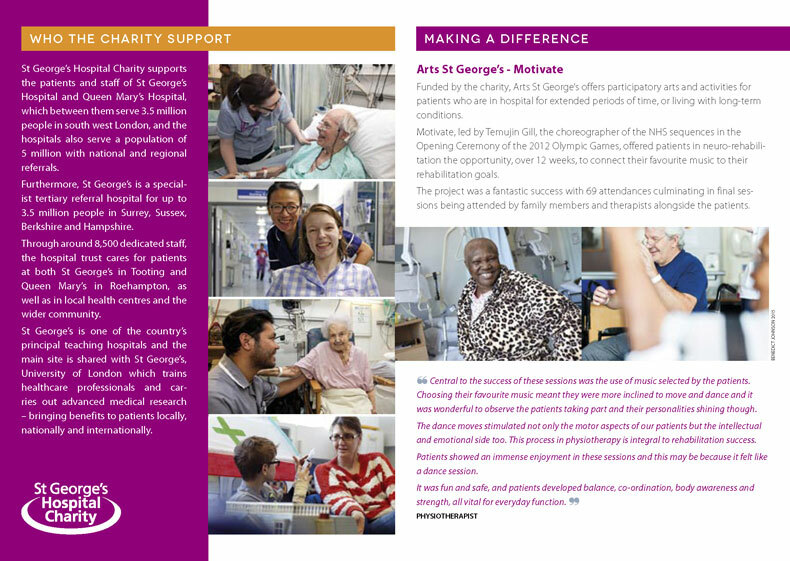 This leaflet will be used in various ways by the teams, for example the trusts and foundations team will use it to accompany proposals and act almost as a supporting document, a visual representation of the charity.